Want to make sure your gun safe isn’t going anywhere? For the serious gun owner, there is a tried-and-tested method that is still the best option available: owning a reliable and well-built gun safe. However, there’s still a lot to consider. First, if you have a large gun collection stored in an ample gun safe, the safe itself becomes a massive target. It isn’t enough to just own the safe. You have to make sure you put it in the right place and secure it such that any criminal will be deterred from even attempting to open or take it. Let’s look at optimal safe placement, and figure out the best ways to secure it without losing your precious and valuable firearms. We all realize that a gun safe isn’t a magic portal into another dimension that only we can access. 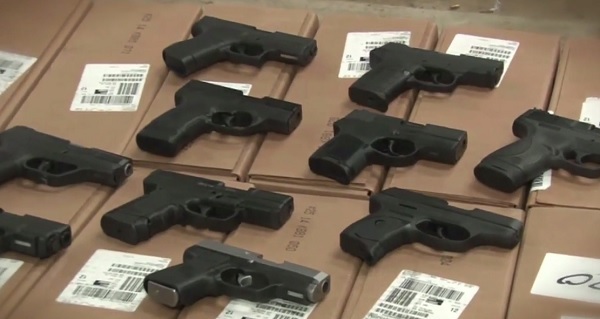 Gun safes can — and do — fail, both in theft prevention and as protection from fire or other natural disasters. Nothing’s perfect, but something is better than nothing. You’ll have to decide how much gun safe is right for you. Fire ratings and certain other features might not actually matter as much, depending on who you ask. Picking gun safe features is a topic for another article. In this article, we’ll focus on where to place a gun safe primarily intended to deter theft. The biggest threat for most gun owners is probably theft, though this is highly debatable, as fire may be a bigger concern in some areas. 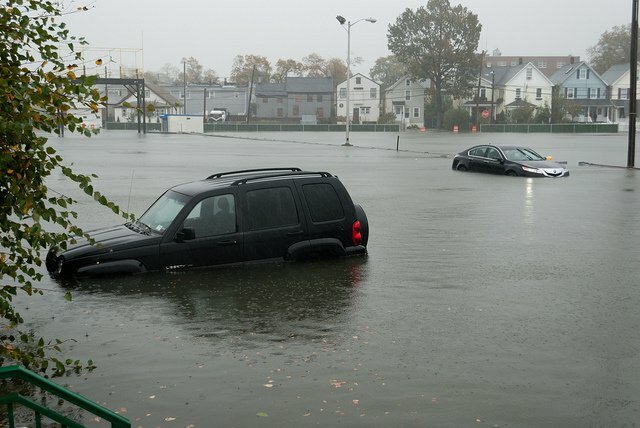 Flooding is also a serious consideration. So, for our purposes, we’ll take for granted that you’re trying to prevent theft, fire damage, and finally flood damage, in that order. National statistics really don’t matter much here, as every neighborhood is different, and the threat of fire and flood will vary depending on a wide variety of factors. If you live in a fire zone, you’ll likely have different priorities over someone who lives in a crime-ridden neighborhood. 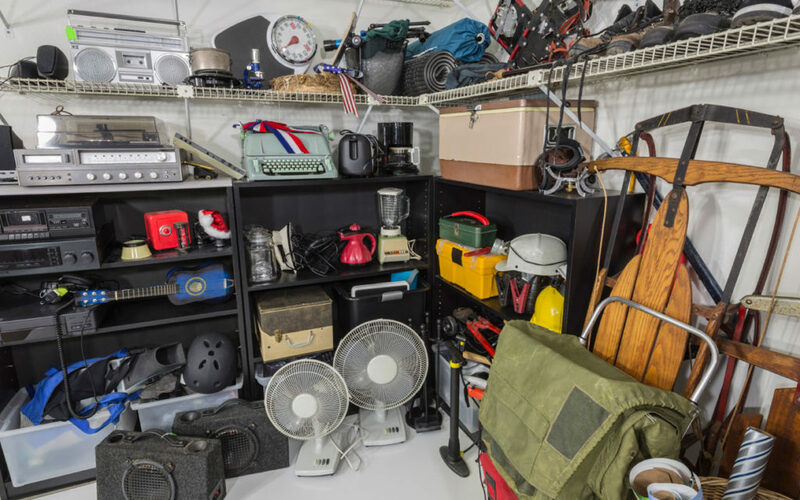 You need to assess these conditions and your storage needs for yourself. 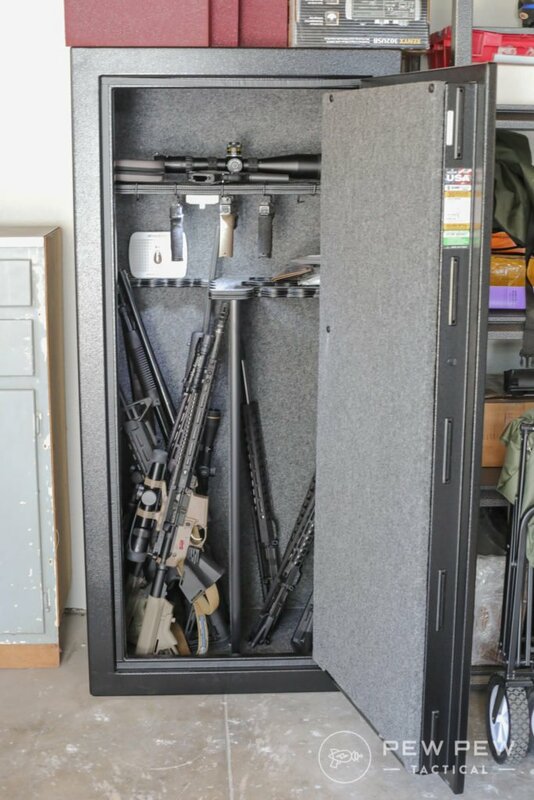 For our purposes, I’m talking about a stand-up gun safe large enough to bolt into the ground somewhere (assuming your foundation is made of something solid enough to bolt a metal box into — dirt floor dwellers can stop reading here). Keep in mind, though, that if you have a safe weighing more than a few hundred pounds, you will very likely need help to install it. When considering upstairs floors as possible locations for a gun safe, weight can become a big factor. As a rule of thumb, building codes state that all floors in a residential building must be able to handle 40 pounds per square foot of space, regardless of where the floor is in the building. That’s a building standard, but there are so many confounding factors. It’s hard to say what will be safe — pun intended — especially given that you may not know the final weight of the gun safe. Be honest, you’re going to get more guns after you install the safe – don’t forget to account for that! Let’s say you have a gun safe that weighs 1,000 pounds when empty and is around 3.5 feet wide by 2.5 feet deep. It will be hard for thieves to carry off, but if you plan to store it upstairs, there are a few things you should consider. In this case, the gun safe will concentrate a load of around 114 pounds per square foot, which is technically beyond the per-square-foot load capacity of the floor joists in a room. But we also have to consider that the floor is likely to have a total load capacity exceeding the 1,000-lbs. of the safe. If the room is, say, 10 feet by 15 feet, you can have roughly 6,000 lbs. of weight on that floor in that room, for example. Remember, doing the math wrong might result in your 2nd-floor safe ending up in the kitchen…or just call a professional. Placing the safe along the wall, where support is likely to be higher, may help. 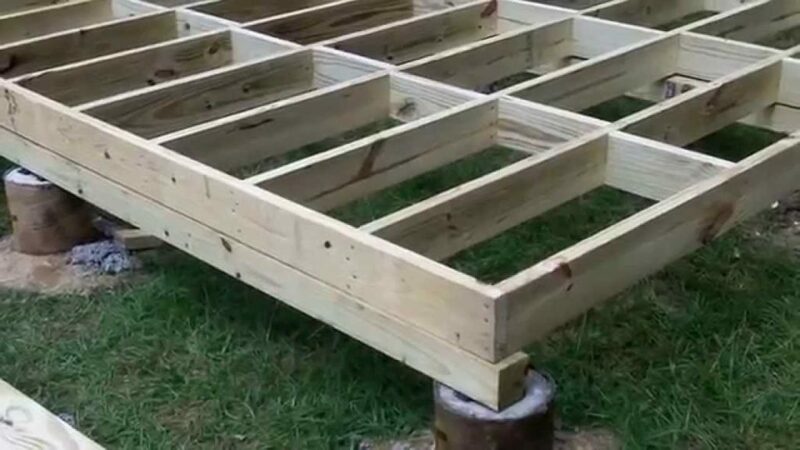 Also, floor joists may sag over time. There may be more than one load on the floor in question. A load-bearing wall underneath the intended location may help. You need to consider all of these factors when placing a safe. Ultimately, I recommend you consult with a contractor or safe installer to figure out what will work best for you if you have a very large safe and you plan to install in off the ground floor. A smaller safe may be best upstairs, even simply for practical purposes. If you’re at ground level, though, generally the sky’s the limit. You know how much protection you need, and you know what you want to protect your firearms from. Now, you’ll also need to consider environmental suitability as well. 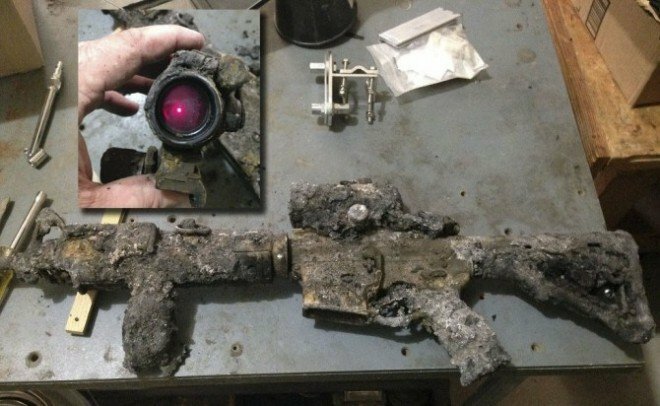 A damp, unfished cellar may not be the best choice when it comes to ambient humidity, which may damage your firearms. Additionally, an un-insulated attic may see temperature swings too extreme to recommend it as a place to store your firearms. Essentially, you want a location that will allow for low average humidity levels, stable year-round temperatures, and an overall stable environment in which to house your safe. 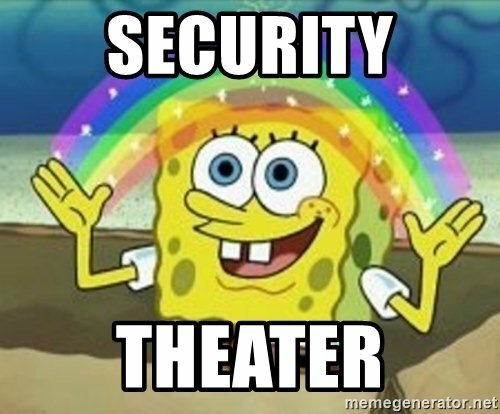 You’ll also want to pick a location that will provide better protection against a disaster if it is to happen. For example, your finished, climate-controlled basement may be the absolute best spot in terms of humidity and temperature stability, until a flood comes through and everything below ground level is under water. We’ll look at specific examples later in this article, but for now, try to think long-term, as the seasons change, and as potential disasters threaten your home and firearm collection. This will help us narrow down where you should even think of putting a gun safe. Another big consideration is, how easy is your safe going to be for someone — including you — to access? 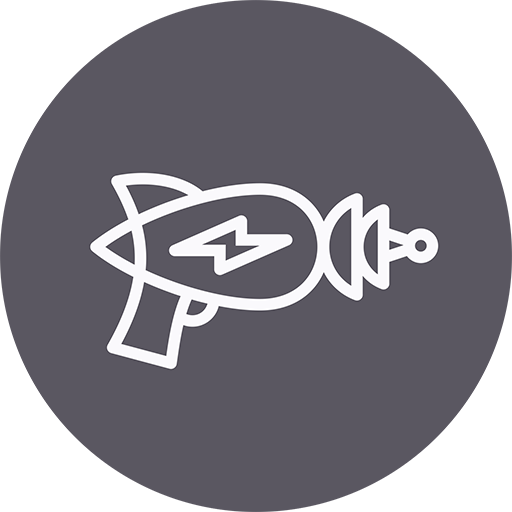 Several companies will install in-floor gun safes for you, and these may be good options in many scenarios. But they tend to be more expensive, and if you’re going to go this route, you’ll likely be consulting with an installer about where to place the safe, so this option really isn’t relevant here. In general, I recommend a larger, less-accessible safe out in the open over a smaller, hidden in-wall safe. While it may appear more secure “anchored” into a wall, in reality, it’s relatively easy to pry a metal box away from wood supports. For our consideration, safe owners need to pick a spot where they can keep the very presence of the safe away from prying eyes, but also access it relatively easily as needed. Out-of-the-way locations may make the most sense, but you need to weigh visibility against environmental considerations and convenience as well. Just be aware that you need to keep visibility in mind. The fewer people know about your safe, the better. While displays have their place, for our purposes, let’s consider what makes for the best locations to store a safe. Take this advice with a grain of salt, because every house’s layout will affect what constitutes the “best” location, but we have some guidelines for you. Generally, your master bedroom may make a good spot for your safe, as it’s likely to be less accessible and will afford higher levels of privacy. This is also where many thieves will assume you store valuables, however. A coat closet that’s not in the main interior hallway, preferably in an out-of-the-way storage area, may be a good spot, as well. Many very large safes end up in garages, but unless the building is away from the street behind a fence, I think this is a relatively bad spot when it comes to risk of theft. In an attached garage, especially one that is used frequently with garage doors opening often, the gun safe becomes a much more visible target. Also, temperature extremes can be greater in garages, and if you locate a safe against a wall adjacent to the outside, it may simply be a matter of cutting through your wall and the back of the safe — which may not be made of the same quality steel as the safe door — to access your firearms. 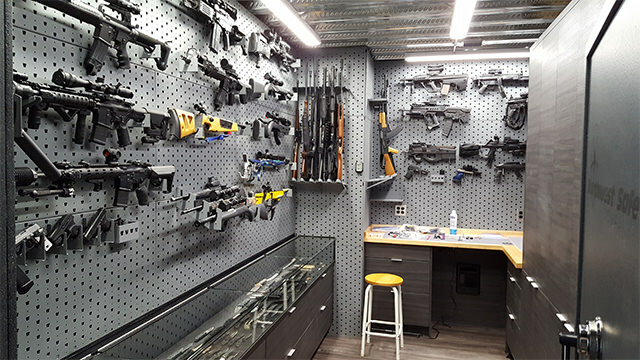 A basement may be a great place to locate a gun safe in terms of preventing theft — depending massively on how that basement can be accessed — but in most places, basements will have higher levels of humidity, will be subject to greater flood risk, and may be subject to temperature extremes. There probably isn’t a perfect spot in your home for your safe. You need to consider your options and pick a spot that offers low visibility, interior walls with rooms on the other side of them, preferably that are hard to access, adequate floor support, accessibility, and overall security. Or you can go for broke and turn an empty room into a hardened gun vault! Most gun safes on the market today will come with holes pre-drilled in the base to allow users to bolt the safe to the ground. Where you choose to locate your safe will make a tremendous amount of difference as to how effective this will be, of course. If you’re on a wooden floor, consider using lag screws. No matter what method you choose, on a wood floor, you need to be sure you aren’t just bolting into your subflooring. Rather, make sure you attach your safe directly to your framing. No matter how well secured your safe is to a wood floor, the pull-out resistance is likely going to be much less than it would be on a concrete floor. The framing in your floor is very similar to the framing in a wall. Just like hanging a picture – you want to aim for the framing. Locate your framing using stud finders, and position your safe so that each lag screw will anchor into your framing. Be sure you aren’t drilling into wiring or anything else hidden in your wall. This may not be possible in all circumstances, but try to anchor as many points as possible to the framing. Drill your holes with an appropriate bit, set your anchors, and hope someone with a crowbar doesn’t try to pry up your safe. In the best-case scenario, you’ve picked a spot with an exposed concrete floor where you can bolt down your safe. If you have to drill through other materials, such as tiling, hardwood or carpeting, be aware of how drilling will damage flooring and what you might need to do to repair it later. Also, check to make sure you aren’t drilling into plumbing lines, post tension cables, or going too deep and drilling all the way through. If you’re unsure, ask an expert. 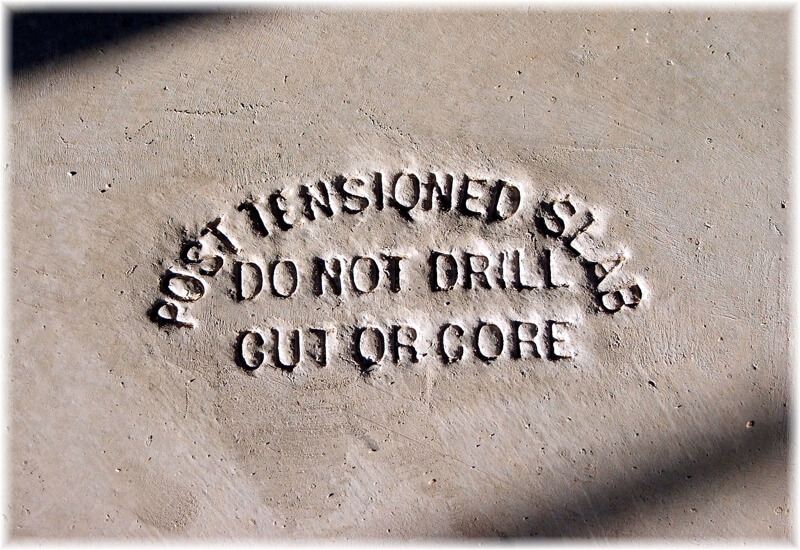 If your concrete has this warning, don’t drill into it! If you plan to move the safe at a future point in time, you might only want to use two bolts for now. If you know you’re going to be in one location for a long time, however, I recommend drilling all four holes and setting the gun safe in its spot permanently. 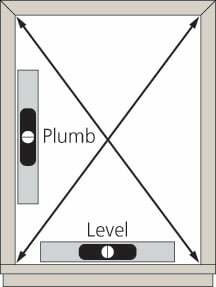 You need to make sure your safe is both plumb and level. You can use a hammer set anchor, a wedge anchor, or a threaded rod with epoxy to secure your gun safe to a concrete floor. I recommend either the wedge anchor or the rod-with-epoxy method to secure your gun safe. Both provide exceptional pull-out resistance, with the rod-and-epoxy method providing truly outstanding performance in that regard. 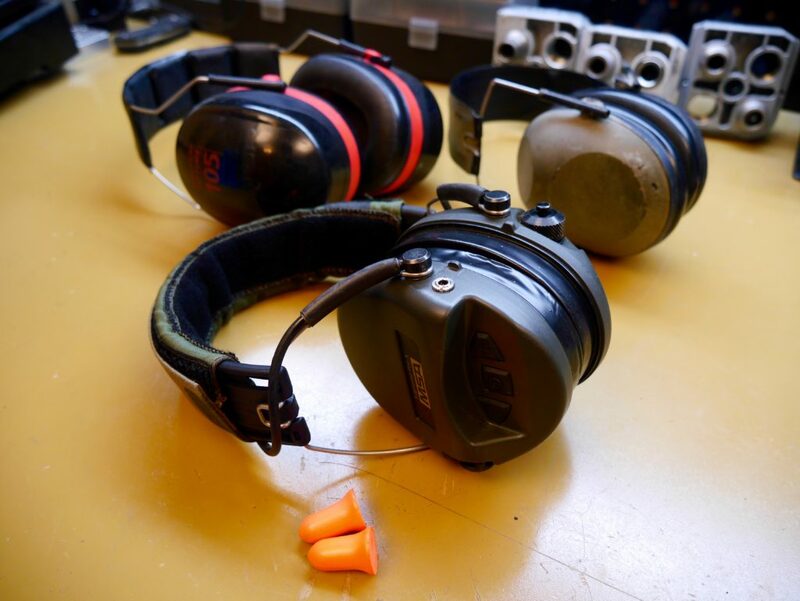 Before you start though – we want to stress that eye and ear protection should be worn while drilling, hammering, or cutting. 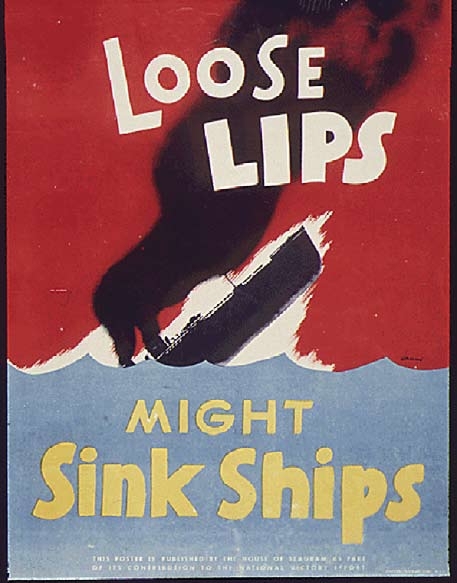 Be smart, people! My Hearing Protection – Best Hearing Protection! You will need a hammer drill and hammer drill bit to use this anchor. A 3/8ths-inch wedge anchor around 3 inches may be acceptable, though a larger diameter and length may be optimal. Many manufacturers recommend 3/8ths-inch drill bits, so check with your gun safe’s manufacturer to find out what will work best and what will fit your gun safe. 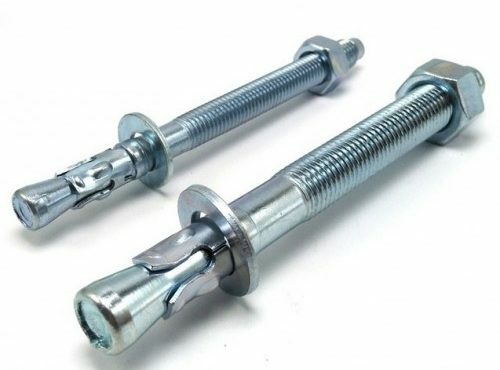 Some take a 1/2-inch or 5/8ths-inch bolt. If your safe allows it, I recommend drilling into your concrete right through the pre-drilled holes in your safe to make alignment simple. If you can’t do this, mark your flooring, move the safe, and prepare to drill. Drill your holes to the desired depth — you can mark your drill bit with a piece of tape to prevent yourself from drilling too deep — around a 1/4-inch deeper than the length of the bolt you’re using. Clean the hole with a shop vac, and make sure everything is level. Now, insert your bolt into the shield, which will expand as the bolt tightens during insertion. Place the wedge anchor into the drilled hole, tamp it down, and tighten the nut to secure the bolt into the shield. You can also add a large washer to the bolt to give it more surface area and stability. Again, you will need a hammer drill and bit designed for concrete. I recommend a 5/8ths-inch threaded rod, but make sure the pre-drilled holes in your safe can accommodate that size. You can simply buy an all thread rod and cut it to length, but you will need a concrete epoxy to secure it into the hole. You want your anchor to be embedded at least 4 inches into the concrete, but 5 or 6 inches is preferable. If you have a 4-inch concrete basement floor, however, do not drill all the way through, as you would just be creating a hole for water to enter your basement. Before you drill, make sure your safe is both plumb and level. Use your hammer drill and bit to drill to the desired depth. You can mark your bit with a piece of tape to make sure you drill to the correct depth. Now you must thoroughly clean out your drill holes. You will need a shop vacuum and compressed air for this, as many epoxies will require a very clean surface to properly adhere. Insert your rods into the drilled holes, add 3/4ths to 1-inch from the base of the safe, and mark the rods at that same spot — either added length can work, but make sure you use the same length for all rods. You need this extra length to attach a washer and lock washer to each rod. Now, remove the rods and cut each on at this mark with an angle grinder. Be sure to make this cut outside of you safe, as you don’t want to damage the safe’s interior in the process. Once your rods are cut to the correct length, you can prepare to install your epoxy. There are many concrete epoxy options available, and if you’re unfamiliar with them, ask an expert for recommendations. Many epoxies will need to be prepared before use. After you’ve thoroughly cleaned out each hole with compressed air, selected an appropriate epoxy and prepared it — Some epoxy guns mix the epoxy in the tip — you can inject it into each hole with an epoxy gun or applicator system. Now you’re ready to insert your threaded rod into the wet epoxy and secure it. Use a regular washer and a lock washer on each threaded rod to make sure everything is tight. The epoxy will need time to cure, but your setup is effectively ready to go. A safe secured this way is unlikely to move at all for a long time, even if your entire house comes down. For most gun owners, a safe is an ideal solution for firearm security and protection. We’re increasingly under scrutiny for how we handle and store our firearms, and having a secure setup in place will help you negate what many critics say about us Second Amendment folk. While no safe is going to be perfect, finding the best location possible and securely anchoring your safe will signal that you’ve done your best to be a responsible gun owner. 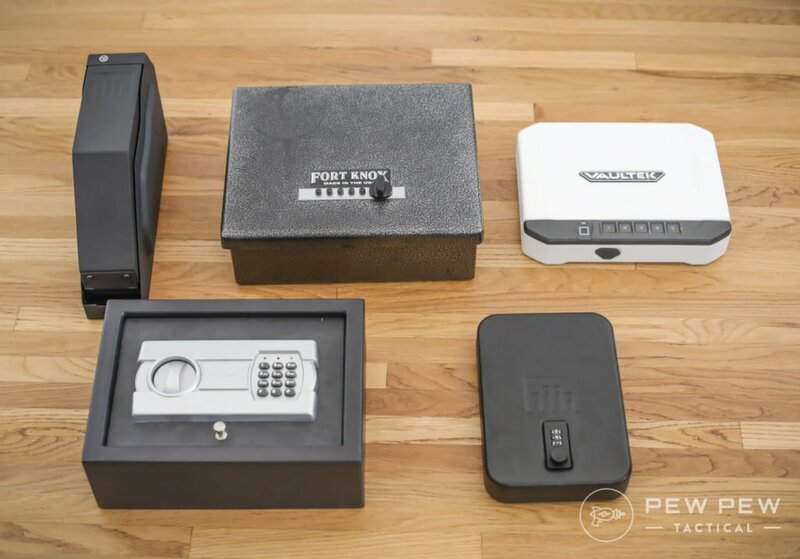 Ready for some of our recommendations for the Best Handgun & Long Gun Safes…or even Best Hidden Safes? Ethan Mizer is a professional writer and editor who was brought up shooting and hunting and is familiar with several types of firearms. He loves spending time outdoors and enjoys sharing his experience with others! I plan to purchase my safe next month and this gave me a couple things to think about. Thank you for this! Luckily for me, i have a level concrete floor in my house i can bolt it too.